RAM was upgraded 12GB! Lenovo has minor scuffs and scratches from normal use and age, NO scratches in screen, SEE PICS! Hard drive was replaced and Windows 10 Professional installed. LENOVO X220. Webcam - Si. 10044 Pianezza (TO). Via San Paolo 10/12. VENDITORE PROFESSIONALE. Windows 7 Professional; Windows 10 Pro UpGrade. 10044 Pianezza (TO). Via San Paolo 10/12. VENDITORE PROFESSIONALE. Grado A-: IL prodotti in buone condizioni estetiche che potrebbero presentare qualche graffio nei bordi, segni non di lieve urto o leggera ammaccatura. Hard drive size256GB SSD. With a nearly borderless either Full HD or Ultra HD touch-optional display, this ultrathin and light notebook dazzles in machined aluminum rose gold and alpine white woven glass fiber or platinum silver and black carbon fiber. Model: 17-ca0003na. A laptop with the power to surf, stream, and do so much more with an AMD processor and graphics. Plus extensive quality testing ensures that you can keep going and going. Hard Drive Capacity: 1TB. HP EliteBook 840. 10044 Pianezza (TO). Via San Paolo 10/12. VENDITORE PROFESSIONALE. Grado A-: IL prodotti in buone condizioni estetiche che potrebbero presentare qualche graffio nei bordi, segni non di lieve urto o leggera ammaccatura. Notebook Asus N56VZ-S4196H, core I7-3630qm, 8gb RAM, schermo 15.6" full hd, masterizzatore BLURAY, HD 250SSD Samsung, scheda video GEFORCE GT650 2GB dedicata e HD4000 integrata, audio Bang&Olufsen subwoofer, USB3.0, caricabatterie, WINDOWS10 PRO,buono stato. Akkuzustand Akku OK (Laufzeit mind. 20 Minuten). Netzteil (inkl. Stromkabel) ja. Auflösung Full HD (1920x1080, 16:09). Arbeitsspeicher Typ So-Dimm DDR3. Festplatte Typ SSD. Modell Elitebook 840.
hp laptop touch screen Intel Core i3 670GB Harddrive Black Windows 10. Condition is Used. Shipped with USPS Priority Mail. Amazing for work and for school. Best touchscreen laptop within a considerable price. • Disque dur : SSD 120GB neuf. Lenovo X230. • Processeur : Core i5 3320M 2,6 GHz. • ETAT de la coque : bon. • Batterie : 1H30 en vidéo. • OS : Windows 7 Pro 64bits. • Sortie Vidéo : mini D display, VGA. Hard Drive 256GB Solid State Drive. Warranty This computer is covered by Lenovo Manufacture warranty till March 2020. Warranty is through the manufacture (Dell or Lenovo) directly. I live outside the united states. ZenBook 3 Deluxe (UX490U). Das Gerät wurde im Februar 2018 gekauft und ist. RAM: 16 GB LPDDR3-2133 Speicher. SSD: 512 GB PCIe® 3.0 x4 SSD (3x schneller als eine SATA3 SSD). Also 12 Monate. Eine Mini Dockingstation mit folgenden Anschlüssen. This is a gently used HP Elitebook Folio 9470m Laptop. The left side of the laptop has the power plug, a lock port, a USB 3 port, a headset jack, and a smart card reader. The right side has 2 more USB ports, a DisplayPort port, an SD card slot, a VGA port, a docking station connector, and an Ethernet connector. Arbeitsspeicher 8 GB DDR4 Markenarbeitsspeicher. SRS Premium Sound, Altec Lansing Lautsprecher. ~8-11 Stunden Akku-Laufzeit. Virenschutz G-DATA Internet Security Vollversion (inkl. Battlefield 4 - Diablo3 - Skyrim - StarCraft II - Anno 1404 - und viele weitere Spiele - alle mit angepassten Details spielbar! ). Samsung Chromebook XE303C12- A01US Notebook 11.6"
Tastatur: deutsch (Tastaturaufkleber angebracht). 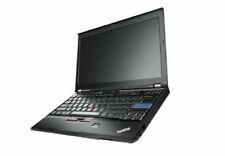 Lenovo ThinkPad X250. HP EliteBook 8470p 14,1 i5 HD 1600x900 i5 8 GB.WLAN I BEL. TASTATUR I RECHNUNG I GEWÄHRLEISTUNG 247,00 EUR. WLAN I BEL. TASTATUR I RECHNUNG I GEWAHRLEISTUNG 222,00 EUR. Und trotzdem können Sie unterwegs die ganze Leistungsfähigkeit dieses Notebooks nutzen. Arbeitsspeicher-Typ DDR4. Arbeitsspeicher-Größe 8 GB. Mit seinem schlanken Gehäuse aus gebürstetem Aluminium ist das IdeaPad 330S ein echter Hingucker. Asus Zenbook UX31A. 8GB RAM- 256GB SSD. Mini HDMI Port - USB 3.0 - SD Card Reader. 1.70GHz CPU Clock Speed. Office 365 2019 Pro Plus. · Fully installed Office 2019 versions of Word, Excel, PowerPoint and OneNote. ✅ Microsoft Office : Word, Excel, power point, outlook, OneNote, publisher, access. A: Yes, You Can Get Support Directly from Microsoft. Lenovo Yoga 720 15.6in. Condition is Used. And computer is in excellent condition externally and internally. - Backlight keyboard is functional. 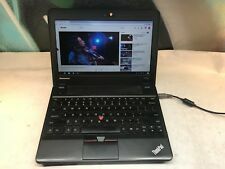 Lenovo ThinkPad T460s 14" FHD Ultrabook i5-6300U 2.6GHz 8GB RAM 256GB SSD Warranty. 3-cell Battery, Windows 10 Pro 64-bit. 3 x USB 3.0 (one Always On), 1 x Mini DisplayPort, 1 x HDMI. Product Series GL63. Product Model GL63 8RC-664. Manufacturer MSI. Processor Type Core i5. Processor Generation 8th Gen. Product Type Gaming Notebook. Interfaces/Ports Number of USB 3.1 Gen 1 Ports 3.